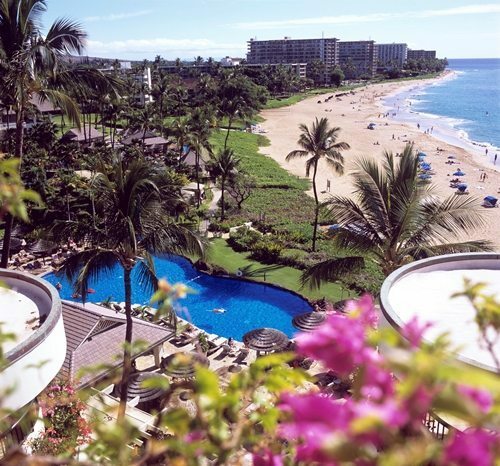 Ever dreamt of experiencing an amazing getaway to the Hawaiian tropics? Jollibee presents an escape to one of the world’s most sought-after holiday destinations with its Amazing Aloha Fly to Hawaii promo. The month-long promo gives Amazing Aloha lovers a chance to be among the lucky three winners of a trip for two to Hawaii for four days, three nights, including airfare, accommodations and pocket money. A Hawaiian vacation for two is up for grabs with Jollibee’s Amazing Aloha Fly to Hawaii promo. Let Jollibee take your Amazing Aloha Burger experience to a whole new level with this trip-of-a-lifetime to the breathtakingly beautiful island state of Hawaii, home to postcard-pretty backdrops of striking blue waters, white sand beaches, and lush greenery. For a chance to win, customers just need to write their full name, contact number, mailing address, email address and signature at the back of their Amazing Aloha Burger purchase receipt and drop it in drop boxes found in Jollibee stores nationwide. Promo period is from June 15 to July 15, 2013. Grab an Amazing Aloha Burger now for a chance to go to Hawaii. Each purchase of the Amazing Aloha Burger, whether solo at P99 or value meal with regular fries and drink at P135, entitles them to a raffle entry. One receipt is equivalent to one raffle entry. 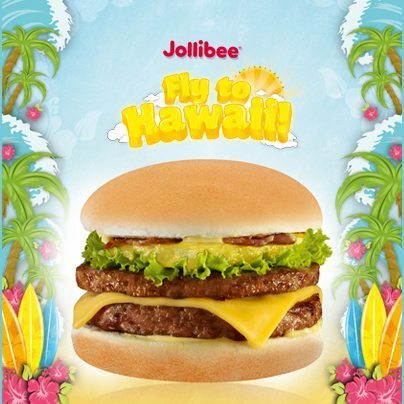 Head to any Jollibee store now and join the Amazing Aloha Fly to Hawaii promo! For the full mechanics, visit the Promos section of www.jollibee.com.ph.